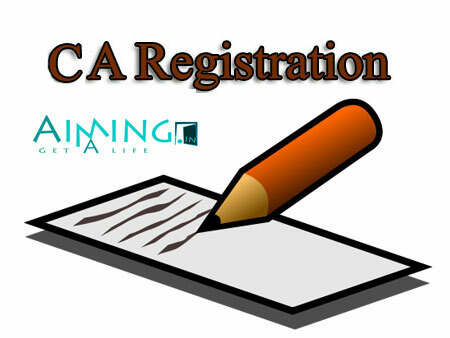 CA Course Registration - Duration, Fee, Process, Eligibility, Status, Important Dates and etc. Many aspirants are showing interest to join in this CA course to become Chartered Accountant. To join in this course one needs to register initially. For registration, there is a process of steps to be followed. In this posting interested aspirants can find details for registration for CA course. Let us see the process of CA Course Registration. For this course, students need to register by themselves through the CA Foundation or CPT (Common Proficiency Test) exam usually. But for IPCC exam interested students have to follow some registration process. 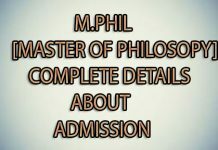 Let go through in detail about CA Course Registration. 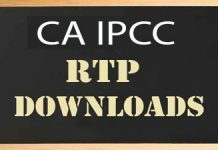 For appearing in the IPCC exam interested need to follow the registration process after knowing that they are eligible for the IPCC exam instead of registered directly. The registration process is not an automatic procedure. A candidate is eligible if he/she successfully completed their 10+2 by the intermediate board. Candidates who passed CA Foundation (By ICAI according to new scheme). Aspirants who are Graduate/ Post Graduate in Commerce and secured a minimum of 55% can register directly for Intermediate without passing CA Foundation or CPT. The direct route for entry is a candidate can register for Intermediate directly. For this no need of passing CPT (Common Proficiency Test) or CA Foundation. Commerce Graduates, Non-commerce graduates, Post Graduates can also register for intermediate. They need to score 60% in Graduation and as well as post-graduation. Not only the above but also the students who cleared the Intermediate level of the Institute of Cost Accountants of India or The Institute of Company Secretaries of India are also eligible. Initially, students need to register themselves for Intermediate course. The application form will be available on the ICAI official website need to be filled by the interested students for registration. Students can find this registration form under students tab in course registration forms. Students need to pay the registration fee which is prescribed while filling the registration form itself through the payment gateway. After the completion of payment, ICAI system will generate a form. Candidates are required to take print out and submit this form to the concerned regional office within 7 days. Concerned students have made their signature on that form. And students have to attach the following documents. Class 12th mark sheets or its equivalent Central Govt. recognized examination pass Mark statement. For direct entry students, they need to submit a copy of Graduation or Post Graduation mark sheet. Mark statement of Intermediate level Examination of ICSI (Institute of Company Secretaries of India) or ICWAI (Institute of Cost Accountants of India). Registration form which is attached to a colored latest photograph. If a particular student is a foreigner they need to attest the copy of proof of nationality. Need to attach the copy of caste certificate for the student categories of SC/ST/OBC or differently abled. After the completion of all the formalities study, the material will be dispatched to the students within a month. Through the CPT or CA Foundation route, you are having an option that you can register for both groups or for a single group at the intermediate level. Or if you are registering directly you don’t have an above option either registering one or both the groups. You need register for both the groups at a time itself. Let us make a glance on following tabular column to know details of intermediate CA registration fee. This * mark which is an indication of to be paid once. Once the registration is completed, some of the students generally get worried that whether their registration is done or not. No need of worrying there is a solution for your worries just come follow the below steps. By that, you can know your status of registration. Visit the ICAI official website (http://www.icai.org). Click on E-services which is on the upper right corner of the web page. When you click on it re-directs to another page where you can find Re-Print Letter. Click on it. You need to fill the required details. After filling the required details then it will show you the status of your registration. You have to visit the site regularly because this process may take 30-40 days to get updated. Within the above prescribed time if the status is not updated then you need to inquire with your concerned regional office on a working day. Candidates who are interested to attend for the intermediate exam in November 2018 those candidates have to register before March 1st, 2018. After the 8 months of registration, the exams will be conducted. Before it was 9 months but the main examination division made some amendments in the examination pattern. 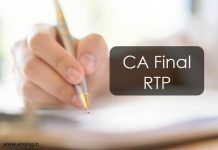 All the information posted in this article is all about CA Course registration process and details about registration status check and all. Make a glance at the above article and get an idea.